Cargo Modules is a freight forwarding and logistics company. It offers domestic and international shipping of packages in any size, shape or weight. Cargo Modules had operated its first 18-months without a website and was already seeing significant success when the owners finally decided it was time to build the company’s online image. Although the firm had offices in California and New York, the two founders were originally from Germany and Switzerland. They both spoke good English but knew their English writing capabilities were lacking. Additionally, the company was competing with shipping giants like UPS and FedEx. Its website would have to demonstrate the benefits of choosing a smaller, more nimble company like Cargo Modules to trust with shipping. It also needed to emphasize its unique specialties, such as shipping special-care products like pharmaceuticals and human blood, and extremely large and heavy items such as ship engines and helicopters. Cargo Modules hired Susan Greene, freelance copywriter, to write all the copy for the website. Additionally, the firm looked to Susan for help in producing the website. She brought in a professional web designer and web developer (programmer). 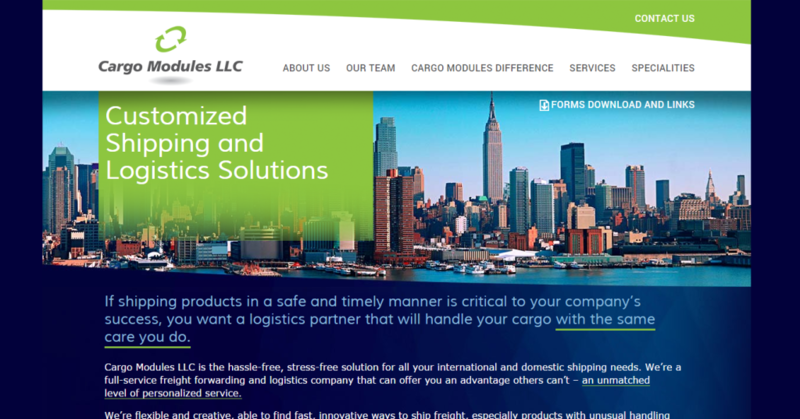 Working as a team, they were able to quickly build Cargo Module’s online presence, which included creating numerous shipping forms that the company needed to have posted on its website. Within just four weeks, the company’s website went live. Cargo Modules continues to enjoy success in the international freight forwarding and logistics niche. Really great job on the copy for our website. I thought our business might be a little too technical for an industry “outsider” to understand, but you seem to have grasped the material without problem. Also, thanks for your ongoing support and enthusiasm on this project. Very refreshing. 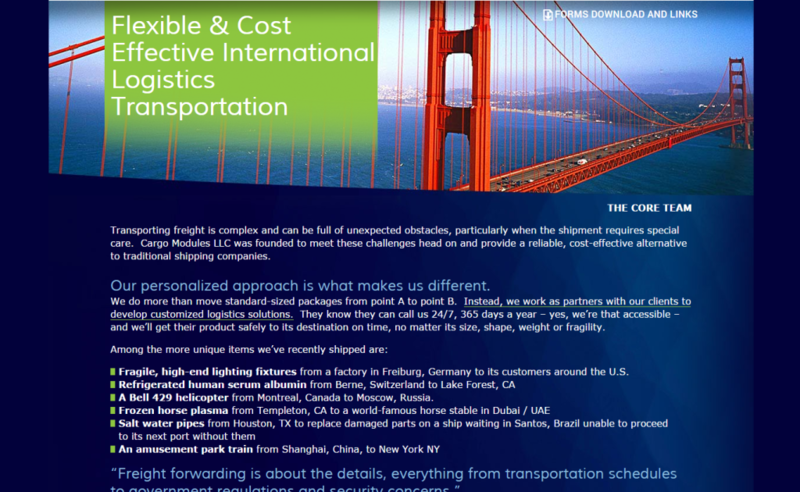 Does your transportation, logistics or shipping company need copy for its website or other marketing materials?